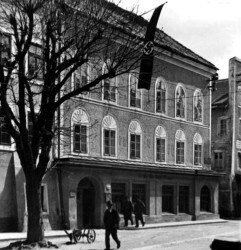 Adolf Hitler's birthplace, where he was born on 20 April 1889, is located in the Upper Austrian town of Braunau am Inn and is a listed town house. After years of dispute, the Austrian Parliament passed a law on the expropriation of the previous owner, so that the building became the property of the Republic of Austria. According to "Salzburger Nachrichten", a ruling by the Regional Court of Ried im Innkreis now awards the owner in excess of 1.5 million euros, instead of the 310,000 euros previously awarded. 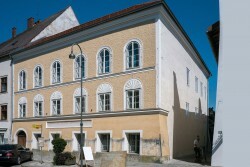 The house where Adolf Hitler was born, with the address Salzburger Vorstadt 15, is listed as a town house because of its 17th century building substance and its importance as a Biedermeier house in the context of the old town of Braunau.